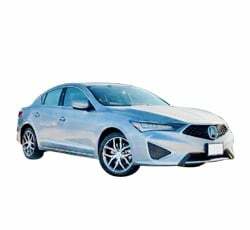 2019 Acura ILX Packages with Comparisons & Configurations. What 2019 Acura ILX Options Packages Should you Buy? What is the Difference Between Them? The 2019 Acura ILX is one of today's least expensive compact luxury sedans. Although the ILX may not pack the performance of German rivals like the BMW 3-Series and the Mercedes-Benz C-Class, it's still quite entertaining to drive. An excellent track record of reliability makes the ILX even more rewarding. This car is perfect for the purpose of everyday commuting. To help keep the ILX relevant in one of today's toughest segments, Acura has given the sedan a needed refresh. Many drivers will be excited by the ILX's updated exterior styling. Its new "diamond pentagon" grille looks a lot bolder. An improved infotainment system adds to the new model's appeal. Although the ILX only comes in a single trim, there are some optional packages available. Before adding any options, the 2019 Acura ILX boasts an attractive MSRP of $25,900. Few cars in the segment have a lower sticker price. 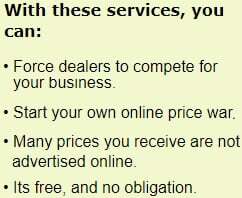 This is great news for the drivers who are looking to get more for their money. Motivating the ILX is a Honda-built 2.4-liter, i-VTEC four-cylinder engine. It's rated to develop a pleasing 201 horsepower and 180 pound-feet of torque. An eight-speed automatic transmission with paddle shifters also comes standard. Power is routed to the front wheels. Although no performance upgrades are available for the ILX, standard Amplitude Reactive Dampers help ensure predictable handling. EPA fuel economy estimates stand at 24 mpg in the city and 34 mpg on the highway. You'll appreciate the 2019 Acura ILX's updated styling. It now looks more like the midsize Acura TLX. Jewel Eye LED headlamps give the sedan an extra degree of attractiveness. On the rear, you'll notice the ILX's new trunk and LED taillights. Acura includes a power sunroof as well. A total of five paint colors are available for the base model: Platinum White Pearl, Performance Red Pearl, Modern Steel Metallic, Majestic Black Pearl and Lunar Silver Metallic. Every new 2019 Acura ILX comes standard with an AcuraWatch safety package. While forward collision mitigation seeks to anticipate frontal impacts, road departure mitigation helps prevent the sedan from drifting off the pavement. Lane-keep assist and adaptive cruise control are included as well. You'll also appreciate the standard backup camera, which can display multiple angles. On the inside, the 2019 Acura ILX provides enough creature comforts to satisfy most luxury car buyers. When leaving home on a cool morning, you'll especially appreciate the ILX's heated sport seats. Power lumbar support is provided for the driver's seat. Meanwhile, a fold-down rear seat enables you to carry extra cargo. Leatherette upholstery covers the interior. There's a good amount of technology inside the new ILX. While a 5.0-inch infotainment screen comes standard, it does not include Apple CarPlay and Android Auto smartphone integration. However, Bluetooth audio streaming enables you to access your smartphone's stored music. Proximity entry and push-button start make the ILX feel a bit more luxurious. Some of the other highlights include Siri Eyes Free, a color driver information display, and a six-speaker stereo system. The Premium package is a big upgrade for the 2019 Acura ILX. Perforated leather upholstery gives the interior a more upscale feel. Meanwhile, blind-spot monitoring with rear cross-traffic alert helps you to better detect unseen vehicles. Along with the Premium package comes Acura's updated infotainment system. Not only does the interface benefit from an additional display screen, but it also provides Apple CarPlay and Android Auto smartphone support. Music fans will appreciate the package's subwoofer, which enables the ILX's stereo system to deliver a stronger bass response. Other goodies found in the Premium package include power lumbar for the front passenger seat, HD radio, and an auto-dimming rearview mirror. Remember, getting the Premium package gives you access to a Canyon Bronze Metallic paint color. You can also add a Technology package to the 2019 Acura ILX. If you spend a lot of time traveling, the navigation system with real-time traffic will prove to be especially helpful. This feature will decrease stress by helping you to avoid traffic congestion. Every driver will benefit from the upgraded backup camera. Dynamic guidelines help pilot you around parking lot obstructions. In the event of a troubling situation on the road, AcuraLink services can connect you with emergency support. A 10-speaker ELS premium sound system gives you another reason to opt for the Technology package. GPS-linked climate control automatically adjusts the cabin temperature. For good reason, the A-Spec package is expected to be a very popular option. Although the A-Spec package does not enhance performance, it makes the 2019 Acura ILX look like a true sports sedan. This package decks out the ILX with black chrome accents and a black rear spoiler. Of course, you can't forget about the wider 18-inch alloy wheels. An exclusive Apex Blue Pearl paint color is also available with the A-Spec package. Aside from bolstering the sedan's curb appeal, the A-Spec package gives the interior a more interesting look. It comes with Ultrasuede seat inserts. Upgraded performance gauges and sport pedals also help create a more exciting mood for drivers. A black headliner further sets apart the ILX A-Spec. The 2019 Acura ILX only comes in a single trim. If you're simply looking for a fun and efficient compact car, don't hesitate to choose the standard ILX. Buyers will be getting a lot of value for $25,900. Many car enthusiasts consider the ILX's quick-revving engine to be incredibly rewarding. It treats you to good fuel economy and a peppy performance. Furthermore, this sedan is big on safety. Whether you're driving to work or taking an out-of-town road trip, AcuraWatch will provide an extra measure of confidence. On the inside, the ILX has a good fit and finish. After experiencing the quality of the standard leatherette seats, you may not feel the need to upgrade to leather upholstery. Unfortunately, Acura equips the ILX with a basic infotainment screen. For an extra $1,750, you can get the optional Premium package. Although this rather pricey package may scare away some drivers, it equips the 2019 Acura ILX with some very attractive upgrades. You'll especially enjoy the upgraded infotainment system, which provides Apple CarPlay and Android Auto mobile support. Leather upholstery is another perk that comes with the Premium package. You also can't forget about the blind-spot monitor. After you evaluate the benefits of the Premium package, you'll likely not mind paying the additional money. Will the available Technology package enhance your driving experience? Although the Technology package may be tempting, it will gobble up more of your hard-earned money. Acura adds an extra $1,900 to the sedan's total cost. Nevertheless, music listeners praise the ELS premium sound system from its superior audio quality. You may also grow to appreciate the navigation system with real-time traffic updates. GPS-linked climate control is also a nice touch. The A-Spec package will likely be in high demand. If you want your new Acura ILX to look like a powerful sports sedan, this package is certainly worth the money. It costs a reasonable $2,000. However, keep in mind that Acura requires you to first purchase either the Premium package or the Technology package. You'll love the ILX's sleeker profile and more aggressive stance. Apex Blue Pearl is only available with the A-Spec package. Sportier interior touches are included as well. So, which trim should you choose? It strongly depends on your budget and what you care about the most. Because the 2019 Acura ILX is so affordable, adding a package or two won't make it less of a value. Of the three optional packages, the Technology package is probably the one you can live without. On the other hand, drivers seeking the maximum style should definitely upgrade to the A-Spec package. For many ILX buyers, the standard infotainment system will leave much to be desired. Some drivers will find the 5.0-inch display to be entirely too small. Although the upgraded infotainment system is only available with the Technology package, it's a feature you'll enjoy. Smartphone connectivity is made easier via Apple CarPlay and Android Auto. The upper 8.0-inch navigation display will definitely make road trips more rewarding. The standard stereo system will be just fine for the average driver. However, expect the 10-speaker ELS premium audio system to have a far more impactful sound. Many car critics rank it among the best systems in the segment. DTS Neural Surround technology helps makes your music sound more realistic. You'll also appreciate the rear-mounted subwoofer, which produces hard-hitting bass. Drivers will be thankful for the sedan's standard AcuraWatch safety package. Its various safety technologies will give you an extra sense of security. However, the adaptive cruise control system does not work at low speeds. This may be an issue for the folks who do a great deal of driving in city traffic. Don't underestimate the value of the GPS-linked climate control system. It'll make traveling more comfortable. By automatically tracking the sun's position, this feature is able to precisely maintain your preferred cabin temperature.